Tottenham are the only Premier League club yet to add a new signing during the transfer window and Mauricio Pochettino feels that is unlikely to change as the deadline approaches. Spurs finished an impressive third in the Premier League last season and reached the last 16 of the Champions League, while manager Pochettino penned a new five-year contract in May. 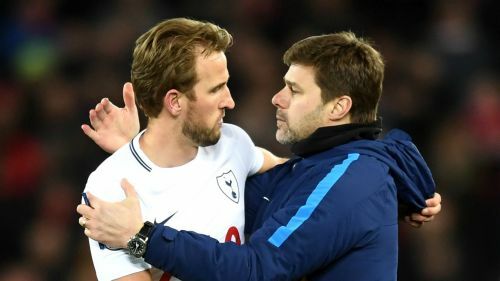 Reinforcements have not been forthcoming ahead of Saturday's opening game against Newcastle United but the Tottenham boss is content to have kept star names such as England captain Harry Kane for another push for elusive honours. "It is so difficult now, only four hours to the end [of the transfer window]," Pochettino said. "Until the game finishes you can't say it is the end of the game but in four hours it will be difficult to sign players. "I am happy to keep all the squad together, there were many rumours during the summer about players out. "The club made a massive effort to try and extend the contract of Harry Kane, just one example. The club is trying to finish the [new] stadium as soon as possible. "It is difficult to understand for people in football that Tottenham didn't sign or didn't sell players but sometimes in football you need to behave differently. "We are happy with our squad and we cannot improve our squad. It is better to keep our squad all together. We believe a lot in our players." Pushed for the latest on Aston Villa midfielder and widely reported Spurs target Jack Grealish, Pochettino replied: "I don't like to talk about the players who are with other teams. "There are many rumours during the transfer window. There is no point talking about players at another club. "I am happy with the squad, happy with the players. We work to improve the squad, but when it is not possible, it is not possible and we move on. "I believe in the way that we work and I have no doubt we will be competitive, with or without signings." Harry Winks and Josh Onomah – the latter having been touted as a potential makeweight in a deal for Grealish – will miss the trip to St James' Park along with Erik Lamela (muscular), Victor Wanyama (knee) and Juan Foyth (thigh).